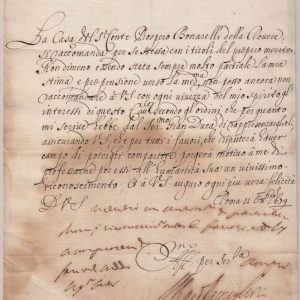 Giulio Rospigliosi was born in 1600 to an aristocratic family in Pistoria. He studied liberal arts with the Jesuits and eventually earned doctorates in philosophy and theology at the University of Pisa where he also taught. But his real love was the arts. Rospigliosi was the librettist of several operas. In fact, he created the genre of sacred opera. He also wrote the libretti for some of the earliest comic operas and was an accomplished poet. 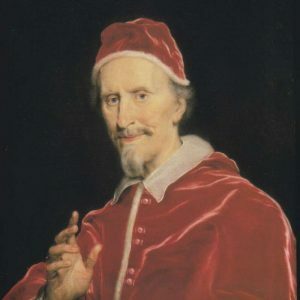 These literary gifts endeared him to the powerful Barberini family, including Pope Urban VIII himself, thus securing their patronage and opening a path to advancement in the Church. Pope Urban admired his many talents and soon appointed Rospigliosi to positions of importance, most notably as nuncio to the Court of King Philip in Madrid in 1644. He also became the vicar of the basilica of St. Mary Major. 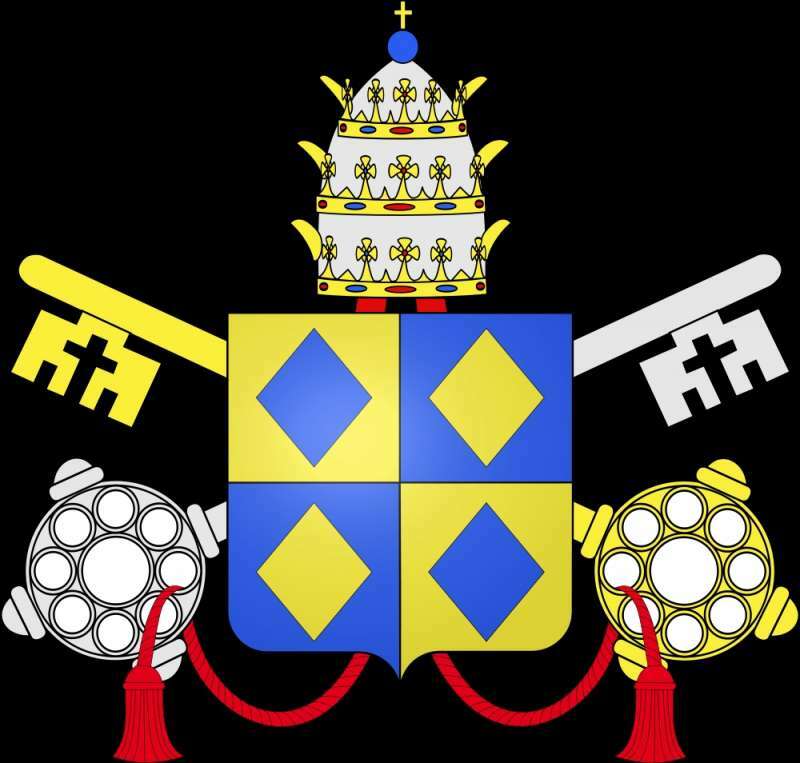 This position gave him honorary citizenship in Rome where he eventually was appointed governor. In 1659 Alexander VII made him cardinal and appointed him Secretary of State. 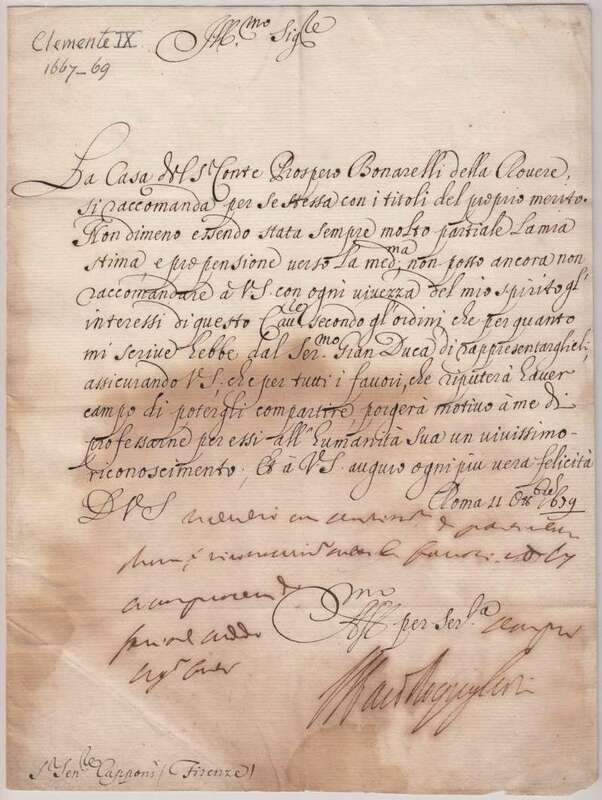 In spite of the hostility of the powerful French cardinal, Mazarin, and King Louis XIV towards Alexander VII, Cardinal Rospigliosi managed to retain the esteem of the French Court as well as King Philip of Spain. It came as no surprise, then, when upon the death of Alexander VII in 1667, that Rospigliosi was elected the new pontiff. He was sixty-seven years of age at the time and would reign for only two and a half years. Taking the name of Clement IX, even his name spoke of his charitable character. He chose as his motto, aliis non sibi Clemens, meaning, Clement for others, not for himself. Clement demonstrated remarkable pastoral care in his relationships. It is said that on a daily basis he gathered thirteen poor people at his own table, sometimes serving them himself. 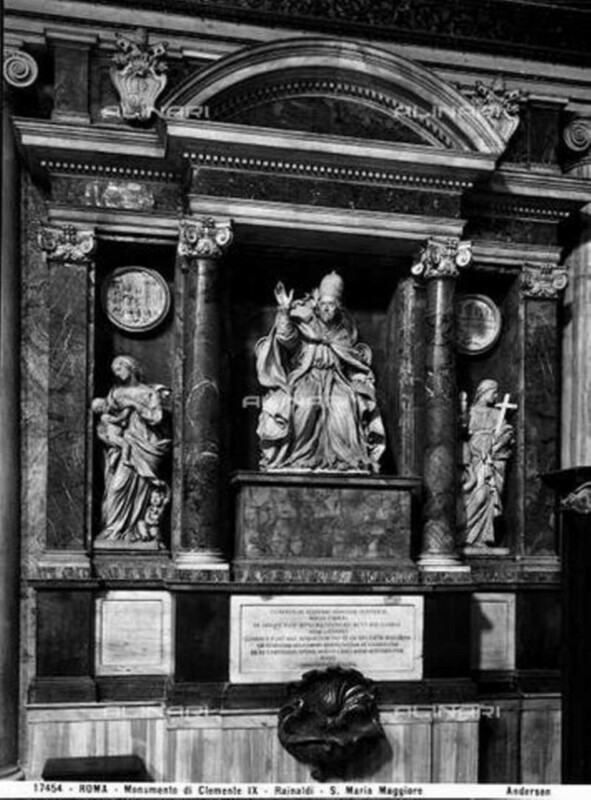 He visited the sick in the Lateran hospital and heard confessions daily. On a more mundane level, he also lowered the tax on flour. All of these things rightly earned him a reputation for holiness. 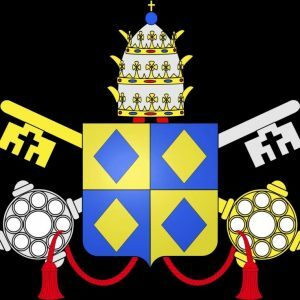 Nepotism had little place in his papacy. In fact, it was taken for granted that the relatives of Alexander VII, the Chigis would be removed from their offices and subsequently these would be given to the new pontiff’s family. But the aristocracy surrounding the papacy was ensconced by this time, and their removal would have been nearly impossible. Other than appointing a brother as General of the Church and two nephews as cardinals with limited positions and incomes, Clement followed the dictates of Pallercino. He recommended that no titles be awarded to relatives of the popes and any funds secured from the sale of offices would be used for the good of the people. However, this did not prevent the new pope’s family from contributing to the aesthetic life of Rome by organizing balls and banquets, by building a magnificent home and by equipping a theater to house brilliant performances. The pope, however, gave them no financial compensation. 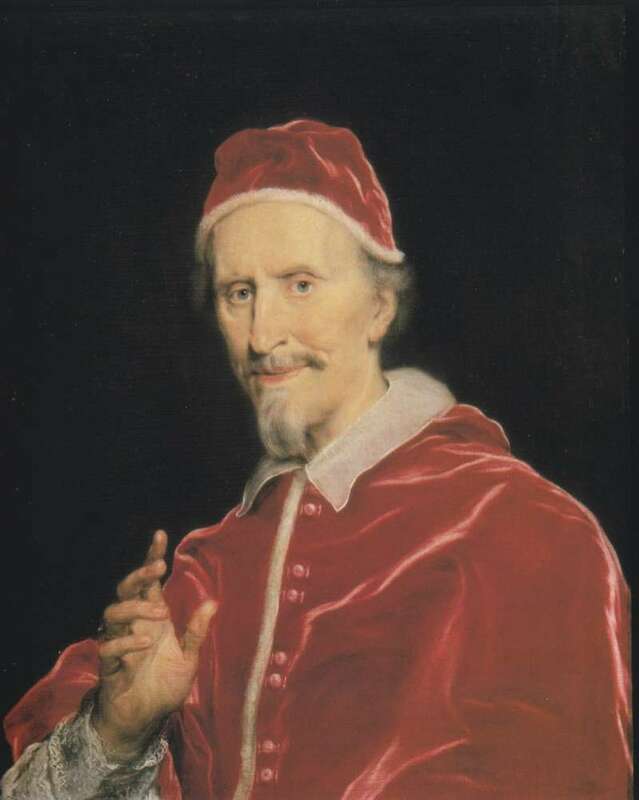 Clement IX did much to beautify Rome, including commissioning Bernini to sculpt the statues for the colonnade of St. Peter’s and the access bridge to Castel Sant’ Angelo. At this time in history, during the waning of papal political authority in Europe, the papacy was taking a new direction. Clement IX promoted a spirit of brotherhood and peace, a religious credibility that had been lost during the Renaissance. Clement was one of many popes forced to deal with the ongoing heresy known as Jansenism which had originated in the teachings of a Dutch theologian and had taken root primarily in France. Based on extreme views of St. Augustine concerning grace and free will, past popes had condemned it as heresy. A group of French bishops and a convent refused to sign the document denouncing it. Mental gymnastics were required to solve the controversy which eventually came to be known as the Clementine Peace. This concession allowed the French bishops to save face and provided a temporary respite from the agitation caused by the dispute. But in Rome, the Clementine Peace, which had been arranged by the French foreign minister, Hugues de Lionne, successor of Cardinal Mazarin, was considered as another capitulation to the French. It was really a victory for King Louis XIV who considered the Jansenists a threat to French unity and stability. Unfortunately, Clement was turning a blind eye to all the concessions it contained. Thus, his favorite saying, We concede, was looked upon disdainfully, at least in this situation. A closer relationship with France developed even though Clement had to allow the Crown a free hand in Church appointments. As with the past two foreign ministers, Cardinal Richeleu and Cardinal Mazarin, the present one, Hugues de Lionne proved to be more than a match for Clement and the Peace of Aachen in 1668 left fortified towns in Flanders in French hands. Clement was unable to prevent this. In the short span of his reign, Clement had little time to do much more than resolve existing tensions. In addition to the Jansenist controversy in France, one such situation was Spain’s recognition of Portugal’s independence in 1668. Prior to this and in deference to the wishes of Spain, the pope had accepted no recommendations for bishops submitted by Portugal’s king. This left many vacant sees throughout Portugal. When Spain recognized Portugal’s independence, Clement appointed numerous bishops to fill the vacancies. A cause very dear to the heart of the pope was preventing the Turks from gaining control of Candia, the last Christian stronghold on Crete. In control of the Venetians, it had been under attack since 1645. Clement hoped to gather Christian forces thoughout Europe to defend it. He was unable to secure help and Candia fell in 1669 leaving Clement to shoulder the financial burden of the defeat. Clement suffered a stroke a month later and died within five weeks, allegedly from a broken heart because of this defeat. 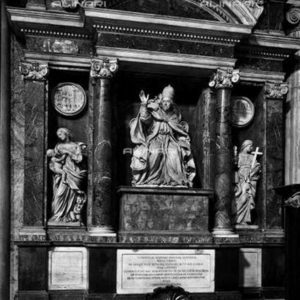 His successor, Pope Clement X built him an ornate tomb in the basilica of St. Mary Major in Rome.